First Nations children need services to grow up safely at home, get a good education, be healthy, and be proud of who they are. What have you got planned for Valentine’s Day? How about sending the Prime Minister of Canada a Valentine’s Day card? That a suggestion from organizers for Have a Heart Day, celebrated on Feb. 14. It’s a child and youth-led reconciliation event that brings together people to encourage government leaders to provide the services that First Nations children need to grow up safely at home, get a good education, be healthy, and be proud of who they are. 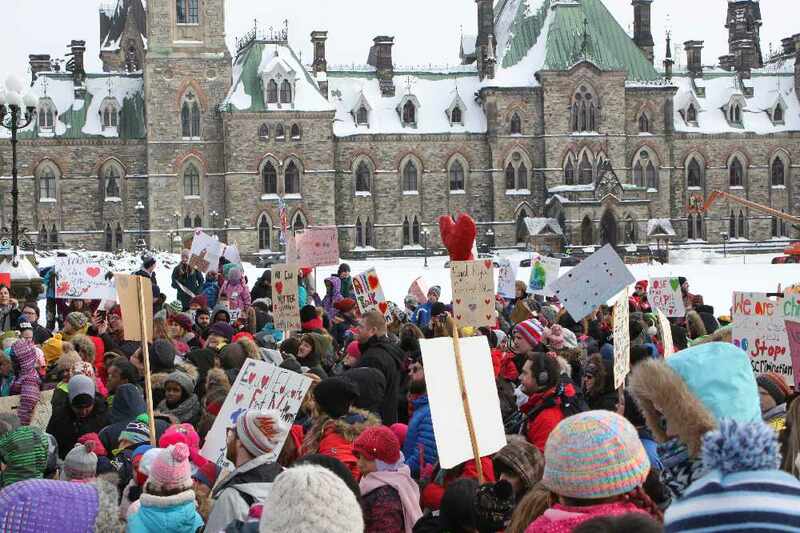 Beyond sending a Valentine’s Day card to PM Justin Trudeau, or to your Member of Parliament, come together for a party in your local school or community centre to celebrate reconciliation. Screen a film, organize a blanket exercise, which demonstrates colonization—the loss of land, resources and culture—in a simple, understandable way, or visit the Shannen’s Dream School Resources page at https://fncaringsociety.com/shannens-dream-school-resources for other ways to take part in Have a Heart Day.